Contact Randi E. Lowitt, Esq. Imagine management and labor, one group and the other as giants, naturally adversarial, often butting their heads against each other, each wanting to be the more powerful. Enter the Arbitrator or the Mediator, a person whose purpose is to help those giants establish their territory amicably and fairly. Randi Lowitt has been a full time labor and employment arbitrator since 1992. She has been a member of the National Academy of Arbitrators since 2005 and has been the Chair of the New York Region. Additionally, Ms. Lowitt is active as a labor mediator and a fact finder, in areas involving sexual harassment, discrimination, and myriad other workplace issues. 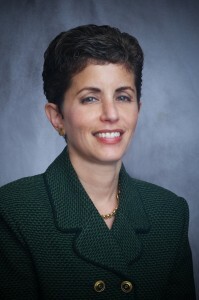 Ms. Lowitt is on the Labor Panel of the American Arbitration Association, the Federal Mediation and Conciliation Service, the New York State Public Employment Relations Board, the New Jersey Public Employment Relations Commission, the National Mediation Board and the New Jersey Board of Mediation and the New York City Office of Collective Bargaining. She also serves as the permanent arbitrator to a number of permanent labor management panels in a variety of industries, including: education, engineering, food industries, security and safety, telecommunications, health care, manufacturing, transportation, and service industries. Ms. Lowitt is named and serves on permanent panels in both the public and private sectors. Ms. Lowitt received an AB from Hamilton College and a JD from Fordham Law School. She is admitted to the New York State Bar and the District of Columbia Bar. She is a member of the Labor and Employment Section of the New York Bar Association and a member of the Labor and Employment Relations Association (formerly IRRA). Ms. Lowitt’s practice is limited to service as a Neutral. Ms. Lowitt works exclusively as a Neutral. She does not represent parties nor provide legal advice. Copyright © 2019 Randi Lowitt. All rights reserved.